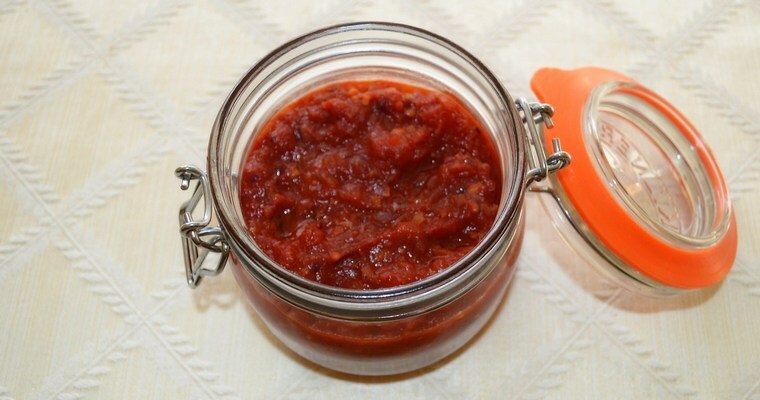 Simple recipe for a basic tomato sauce that can be used as a base for other recipes like Bolognese. A perfect balance of aromatic, sour and sweet flavours. A simple tomato sauce has astonishing versatility, providing the foundation to dozens of well-known meals: lasagne, bolognese, chilli con carne, ratatouille, cottage pie, huevos rancheros, braised ribs, meatloaf, beef stew, moussaka, chicken jalfrezi – the list goes on and on. So master a basic tomato sauce and you’re already half-way toward making dozens of different dishes. You can keep this sauce in the fridge for a week, so it’s ideal for making ahead of time and using up when you’re pushed for time during a busy week. Heat the cooking oil in a saucepan over a medium heat. Add the onion and fry for about 5 minutes, until translucent but not brown. Add the garlic and dried chilli flakes and fry for another 2 minutes. Add the tomato puree, stir to mix well, and fry for another minute. Add the remaining ingredients (salt, pepper, 1 teaspoon of the honey, bay leaves and tinned tomatoes) and stir to mix well. Bring the sauce to the boil. Reduce the heat to a simmer and cook for 15 minutes, or until the sauce has thickened and is approaching a jam-like consistency. Taste the sauce and adjust the seasoning if necessary. Tomatoes are acidic, so add more honey if the sauce tastes too acidic. Fish out the bay leaves and turn off the heat. If you want a smooth sauce, then tip into a food processor and blitz until smooth. I usually stick to the chunky texture. If serving immediately, stir in the chopped basil and olive oil. Otherwise pour into a sterilised jar, leave to cool, and store in the fridge for several days.